Bangladesh captain Mushfiqur Rahim won the toss and opted to bat in the lone three-day warm-up tour match against South Africa Invitational XI in Benoni. The match kicks off at 2 pm (BST). 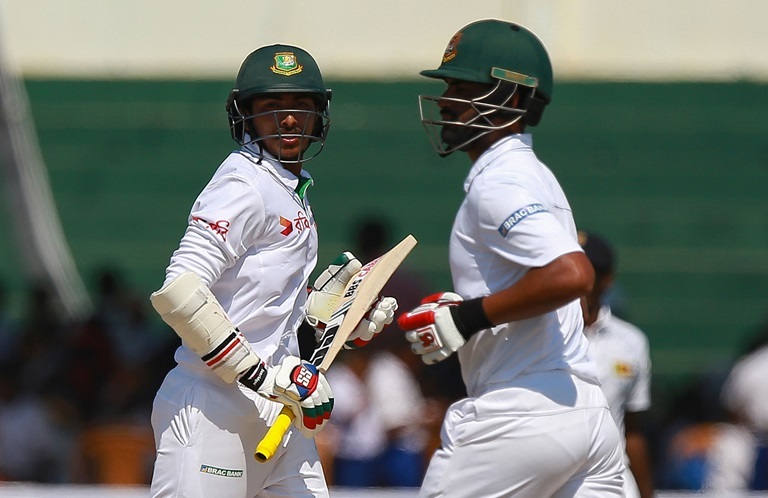 The first Test of the two-match series between Bangladesh and South Africa will begin on September 28, BSS reports. Squad: Mushfiqur Rahim, Tamim Iqbal, Imrul Kayes, Liton Kumar Das, Mominul Haque, Soumya Sarkar, Sabbir Rahman, Mehidy Hasan Miraz, Mahmudullah, Taijul Islam, Rubel Hossain, Mostafizur Rahman, Taskin Ahmed, Shuvashish Roy and Shafiul Islam.